William: [before the court] What went we out into this wilderness to find? Leaving our country, kindred, our fathers houses? We have travailed a vast ocean. For what? For what? Governor: We must ask thee to be silent! William: Was it not for the pure and faithful dispensation of the Gospels, and the Kingdom of God? Old Slater: No More! We are *your* judges, and not you ours! William: I cannot be judged by false Christians, for I have done nothing, save preach Christ's true Gospel. Q: What is The Witch and what is it about? This is a story set in the early colonial period of New England. It has the authenticity of a well-researched historical drama, up to and including dialogue delivered in a period accent and vocabulary (softened a bit so that it's easy to understand). Instead of drawing on historical events, though, it draws on historical folklore -- it's the story of witchcraft afflicting a family, such as might have been told at the time. The characters are a very believable, ordinary family, with the sorts of tensions and problems you'd expect from people living a hard and substantially isolated life after being exiled from the local colonial town. They also have period Calvinist attitudes, and the storytelling doesn't present an outsider's view of this or offer a modern commentary, but instead it just displays these attitudes and tells a story from the characters' standpoint. Their reliance on period folklore means that it doesn't strictly follow modern horror movie tropes, either. 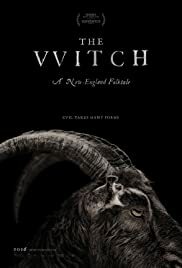 It has the slow build of a modern psychological horror/thriller as well as the standard formula where tragedies start from tragic flaws, but the traditions it's drawing on depend on a Calvinist's conception of flaws, and treat witchcraft as a horrible, well-understood occurrence rather than a shocking supernatural surprise. This story applies these perspectives. 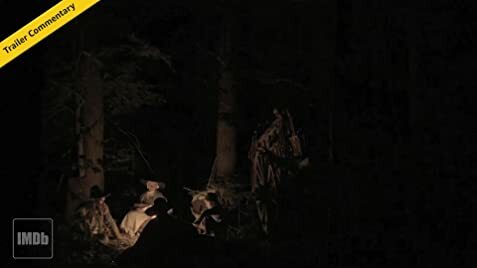 It's very well done in terms of writing, acting, and other aspects of execution, so it might have cross-over appeal to fans of horror, folklore, or straight period drama from colonial America. 171 of 252 people found this review helpful. Was this review helpful to you?